Finding out as much as possible about your loved one’s dementia will not make the condition go away, but it can help you better grapple with what lies ahead. We’ve helped you get started on your fact-finding mission by preparing a solid list of questions to ask your family doctor. 1. What type of dementia do you think it is, and why? Dementia is an umbrella term for loss of memory and mental abilities. Although Alzheimer’s disease accounts for 60 to 80 percent of dementia cases, vascular dementia and diseases like Lewy body dementia and Huntington’s disease can also cause the disease as can brain damage from an injury or a stroke. Of course, the doctor might not know the exact type because the symptoms and brain changes of different dementias can overlap. A precise diagnosis may be difficult or impossible to make at first. 2. How far has the dementia progressed? Is this type of dementia measured in stages? What stage does the doctor believe the dementia has progressed to? What has led the doctor to these findings? 3. What kind of changes and conditions should I anticipate? Your family’s physician can identify a number of issues that commonly crop up in dementia patients. For instance, in addition to confusion, you may notice frustration or agitation, particularly in the evening, as well as depression. On the physical side, your loved one may lose the ability to control bodily functions and they can be vulnerable to urinary tract infections. Those with severe Alzheimer’s disease may have trouble chewing or swallowing, while changes in depth perception can make patients more vulnerable to falls. 4. What medication do you suggest, if any? At best, medications can temporarily relieve memory problems and improve alertness – they will not stop the progression of the disease. Possible drugs include donepezil (Aricept); rivastigmine (Exelon) or galantamine (Reminyl), if the dementia is mild or moderate; and memantine (Namenda), if moderate to severe. Medication to control conditions that affect the heart can sometimes slow cognitive decline in patients with vascular dementia. Ask about possible side effects as well as harmful interactions to any drugs, herbal remedies or supplements your parent is already taking. Finally, enquire how long it will take to find out if the medication is effective. 5. What other types of treatment could help? There are many supportive treatments that may help, although there is no known cure for most types of dementia. Nutritional and emotional support are very important. Counselling or psychotherapy may help someone to come to terms with having dementia as well as alleviate depression or anxiety. As well, exercise may slow the progression of impaired thinking, and occupational therapy can teach people new ways to cope as their condition changes. 6. Can my mother or father still drive? Although you may want to avoid dealing with the often sensitive topic of driving, you need to know the signs that would suggest that your parent can no longer safely drive. As well, find out the steps to take if your loved one is a danger on the road but refuses to stop driving. 7. Is living at home still an option? You also need to find out if it is still safe for your parent or loved one to live on their at home. If so, ask how you can make the home more senior friendly, or what home support services could help your parent or loved one age in place. Unfortunately, the progressive, degenerative nature of dementia means that nearly all dementia patients will eventually require full-time care. If your parent or loved one can still live at home, find out ways you could help them out. For example, in addition to making the house more senior-friendly, decluttering might make it easier for your loved one to focus on the task at hand. Ask your doctor whether there are educational or support groups in your area that can teach you and your family how to cope with the changes happening in your loved one’s brain. 9. What type of specialists should we see? Ask your family doctor for referrals to specialists such as a geriatrician, a neurologist, a visiting nurse or an occupational therapist. 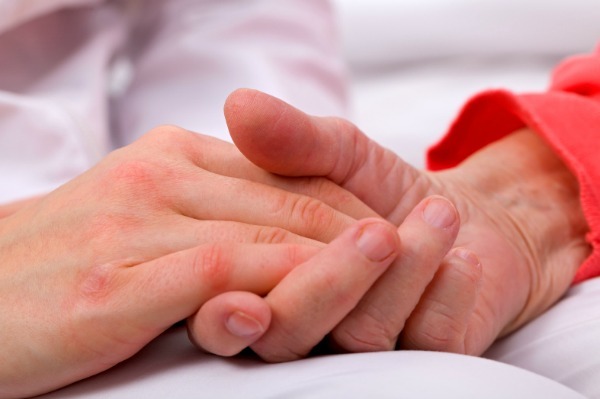 Each of these will offer a distinct and targeted approach to meeting the specific needs that your loved one may have. 10. What can I do to support myself? As the Vice President of Resident Care for The Arbor Company, Marsha is responsible for overseeing quality improvement programs that enhance care delivery and service to our residents and their families.